In its first season, the minds behind CBS' Supergirl have found success due mainly to its cast and some truly, truly inspired spurts of top notch writing, rivalling even those of The Flash. But when dealing with one-off monsters of the week, or indulging too heavily in melodrama for the sake of its subplots, the ride hasn't been as smooth. Thankfully, an increased focus on a Justice League hero doesn't distract - instead, delivering one of the series' most polished episodes to date. In "Strange Visitor from Another Planet", directed by Glen Winter and written by Michael Grassi and Caitlin Parrish, Kara (Melissa Benoist) learns that an alien-hating U.S. senator is the least of her problems, as a White Martian emerges, forcing Hank Henshaw (David Harewood) to grapple with his darkest memories from the last days of Mars. As Kara and Alex (Chyler Leigh) try to keep Hank in check, Cat Grant's (Calista Flockhart) estranged son returns to show that families don't need to be wiped out to be broken up - but not always for good. There's no reason to bury the lead, since it's obvious the Hank Henshaw/J'onn J'onzz/Martian Manhunter plot developed in this episode is carried off more than gracefully. 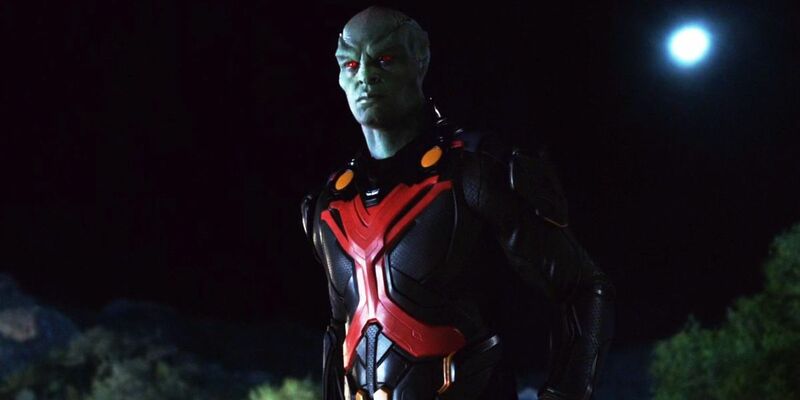 In fact, diehard comic book fans with little interest in the show would be the first to say that the origin story, and J'onn's struggle with rage, guilt, and sadness as a result, are all as faithful to the source material as is possible. Of course, this isn't a Martian Manhunter TV show. That means it's even more surprising that a story focused so clearly on the last son of Mars, with a jarring, emotional turn towards war, imprisonment, and genocide still finds a place for the rest of the cast to shine. The handling of Kara's Kryptonian relatives hasn't always been carried off well, but Kara's insights here are based on the developments that audiences have actually witnessed this season, making her the best - if not only - person able to talk J'onn back from the ledge. Add in a pair of flight-and-fight sequences that straddle the line between hand-to-hand choreography and CG spectacle (letting audiences enjoy both to their limit), and a well-conceived vision of White Martians, Green Martians, and Mars as a whole, and it really is hard to find fault with the episode's main thrust. It is, of course, taking a step back from the overarching plot of... Kryptonian invasion (we think?). But where previous episodes split at the seams, as Kara struggled to balance the fate of humanity with her day job, the relatively smaller stakes allow the rifts to close. A White Martian on the loose, and J'onn's history with them are still important and weighty, but on a personal level, not a world-ending one. The result is an emotional reveal that has been patiently built toward and was well executed by the writers, effects team, actors - and perhaps most importantly, Glen Winters' direction - and pays the utmost respects to the DC Comics mythology. When Hank Henshaw was first revealed to be the Martian Manhunter in disguise, the producers claimed that it was more than a cameo; that there really was a Martian Manhunter story woven throughout Supergirl's first season. This week's episode proved those claims to be true, delivering the Martian hero's origin in, frankly, as artfully a manner as movie or TV fans were likely to ever get. The praise, while well earned for all involved, is bittersweet. "Strange Visitor from Another Planet" is a perfect example of just what Supergirl can be when it's going for the heart, and not a rote, formulaic enemy making subtler scenes and bonds impossible. As such, DC Comics fans not on board with Supergirl who were shown this episode would instantly wonder what they've been missing. Unfortunately, we know what they've been missing (and what this episode largely ignores): an over-the-top Kryptonian conflict with serious delusions of grandeur, and two angst-ridden love triangles that do a disservice to pretty much everyone involved. 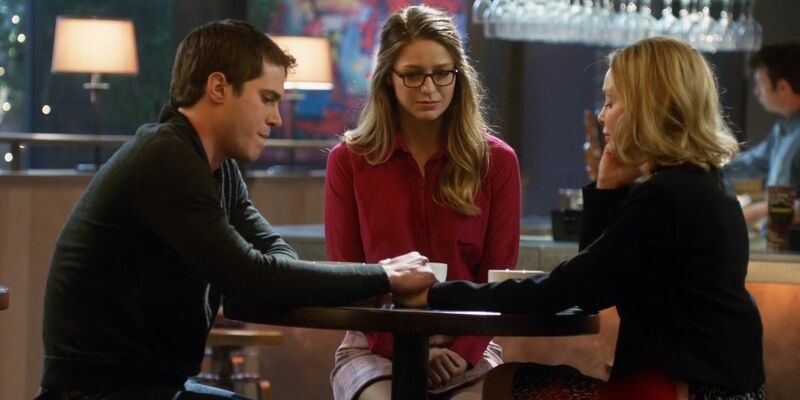 As the cherry on top - and proof that the writing duo and director were just showing off - Cat Grant, Kara, and her estranged son Adam (Blake Jenner) are given a relatively small slice of the pie... which still manages to present each character in their strongest light. Cat struggles to accept that her greatest mistake probably wasn't worth the sacrifice, Kara's backbone grows straighter every day, proving her alien roots offer just as much insight into Earth families as criminals, and Jenner turns in a surprisingly restrained and genuine performance in what could have been a painfully one-note role. With Adam sticking around - and taking an interest in Kara - the opportunity is there for each character to push the other into new territory (something the real-life husband and wife will have experience with). But even more promising is that he'll remain to give Cat Grant an excuse to show a softer side. Or, at the very least, another one - which we have no doubt Flockhart will continue to knock out of the park. Rather than lament the fact that a Supergirl episode with so few rough edges is an uncommon thing, we'll enjoy the moment. If nothing else, fans, critics, and the showrunners now have proof that with the right script, direction, and priorities, even an episode that takes a week off from most main plots in favor of a single cast member can be a home run. "Strange Visitor from Another Planet" may not yet be what Supergirl is, but if this is an example of what Supergirl can be, then we're more than happy to keep tuning in.